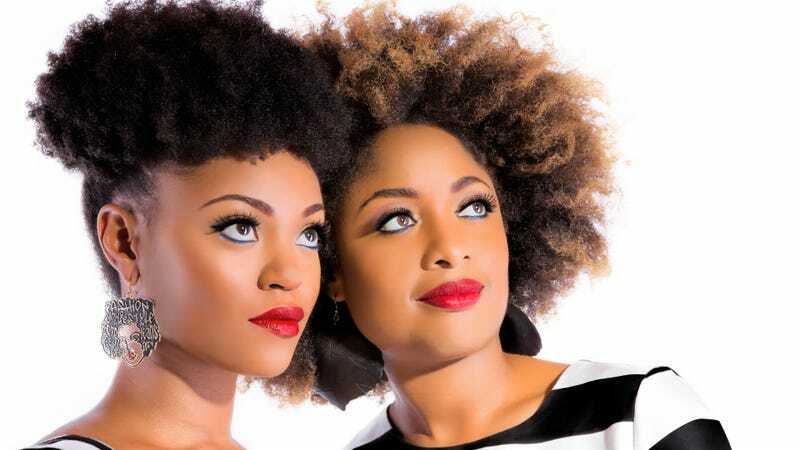 There are groups, and there are “supergroups.” At over 253,000 members—and growing daily—the Natural Hair Facebook group definitely qualifies as the latter. I wanted to make sure that this group was open and welcome. ... A lot of natural-hair communities that I was used to at the time [were] kind of really restrictive. They wouldn’t allow any posts that mentioned straightening hair—even if it wasn’t chemically—or using any types of wigs or anything like that. But I thought that would alienate a lot of people. I thought it was better to draw more flies with honey. It was a strategy that would eventually garner mass appeal, attracting not only a core membership of black women with natural hair but also men seeking tips for growing out their hair, and nonblack members looking for tips to care for the hair of their mixed-race or adopted children. The group, which is now global, provides lists of websites and salons that cater to the natural-hair community, discount codes and even contests with prizes from sponsors. As black women, we’re often in a position where we’re the minority. ... We have to struggle to make our voices heard in mainstream society, and a lot of people do not understand that there are a lot of misconceptions and stereotypes about us as a people. ... So, keeping it open gives other people who want to understand us better. Instead of continuing on in their ignorance, they can join the group and get a better understanding of what our culture is like: why we do things the way we do, how we think about certain issues and why we think that way. I know that a lot of people feel that it isn’t black people’s responsibility to try to explain things and correct things, because we didn’t create the problems that we’re facing right now. But I feel that even if that’s the case, if you want things to change, you still have to make an effort toward change. It’s really incredible to see people come together and form inclusive, supportive communities on Facebook. The Facebook group Natural Hair has become a virtual village where [over] 250,000 members around the world connect over an experience that unites them. For some, it’s a place to get the advice and resources they need to go natural or care for natural hair. And for others, it’s simply a support group, filled with people who can provide encouragement, a sense of belonging and ultimately friendship. Like so many groups on Facebook, Natural Hair is a welcoming community that brings the world a little closer together. Now we have the internet and we have support from other people in our community, understanding that the community isn’t physically right next to us; you can get support from somebody across the globe. And you get support to learn how to take care of [your] hair and know that taking care of your natural hair is not necessarily any more difficult than taking care of relaxed hair, if you learn to accept your own texture instead of trying to make it into something it isn’t.